Gloomy weather calls for some comfort eating. 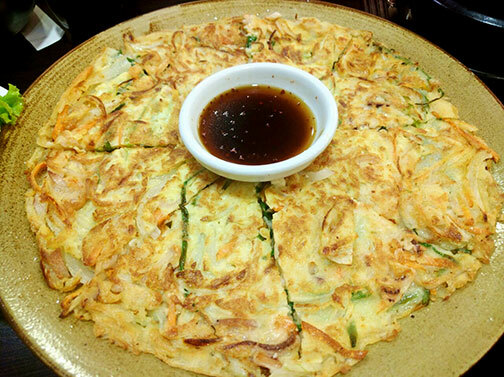 My friend S was craving for some Korean food last week and so we got together for dinner in Masil. Our other friend M joined us for dinner as well and we ordered a grilled meat set good for 4 people. 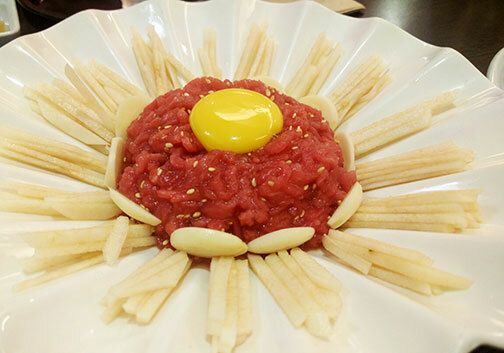 Masil is one of the many Korean restaurants in Pasig. It’s a good place to visit for good quality beef. 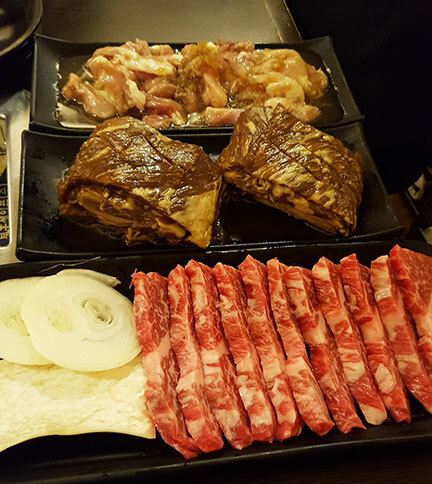 The staff cook the meats for diners over charcoal and change the grills between different cuts of meat. 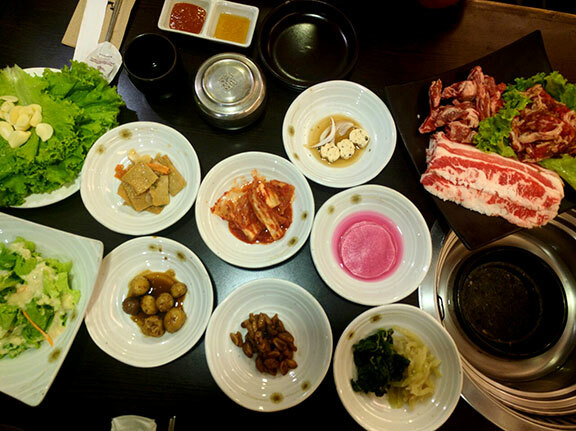 They also offer a generous spread of banchan before the meal so this is really a great place to satisfy one’s hunger. In the madness of traffic, this place thankfully has a spacious parking lot; it fills up quickly before 7pm. The staff are efficient, the place is not cramped; and best of all, you don’t reek of smoke after the meal! Don’t forget to grab a nice cup of peach tea after the meal. They have a tea vendo by the entrance and it’s free. I wish I lived closer to this place so I could try everything on the menu. The stews look perfect for the weird weather we have at the moment.